Saturday September 22nd will see young athletes from local athletics club Harmeny AC gather at Curriemuirend Park to renew rivalries with Corstorphine AAC in the annual friendly Cross-Country race. The race has become a fixture on both clubs’ calendar, serving as a great introduction for newcomers to the sport and allowing others to test their race fitness ahead of the serious business of the East District League, which starts in October. 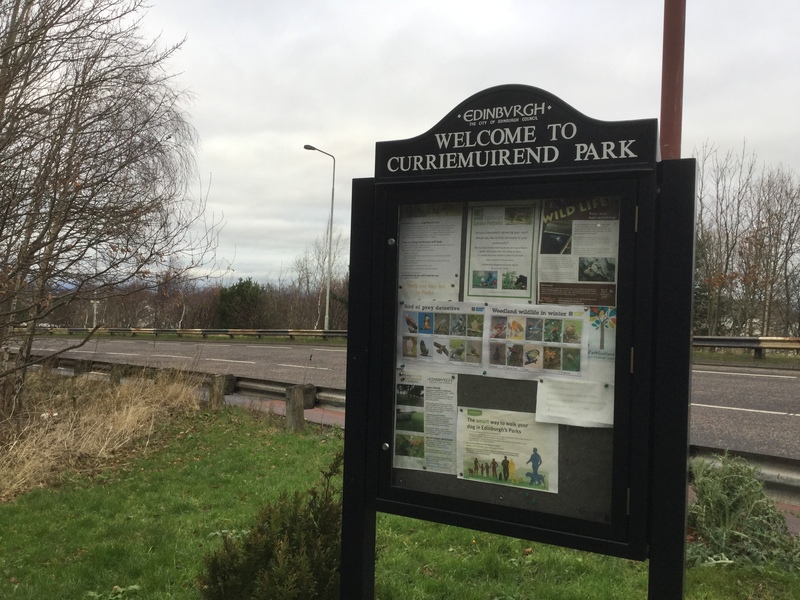 Both clubs will be defending age-group titles from last season which demonstrates the quality that will be on show at Curriemuirend Park (adjacent to Wester Hailes Road, between Clovenstone and Baberton). If any keen kids would like to come and try their luck, all are welcome to come along and have a run, just turn up at around 11.30 on the day – there is no entry fee and Medals for all finishers. It would be great to see you, especially anyone who took part in the Wester hailes Fun Run. Proceedings kick off at 12pm with the Under 9/11s races, followed by U13s and finally Under 15s and Under 17s, with presentations likely to be around 1pm. The kids really appreciate all support, so why not come along and cheer our local Olympians of the future. Just turn up and look for the Harmeny AC, red and green flag, and you should find either myself or Craig, or one of the other parents, and we’ll help you out. Any competitors will be given a vest and run through a proper warm-up before their race, and can look forward to enjoying some vocal support from the rest of the club. If you’ve any concerns or queries, drop me an email at the address below. Also look out for the upcoming Parent and Junior Coached sessions at Clovenstone Community Centre 1230-1330 on Fridays, where club coaches will run a session for the junior athletes and the adults will be led on a coached run around the local area.